By E. Harrison, S. Ackerman, (July 20, 2016). The Guardian. Video and Photos Added. The incident took place in the town of Manbij on Tuesday. 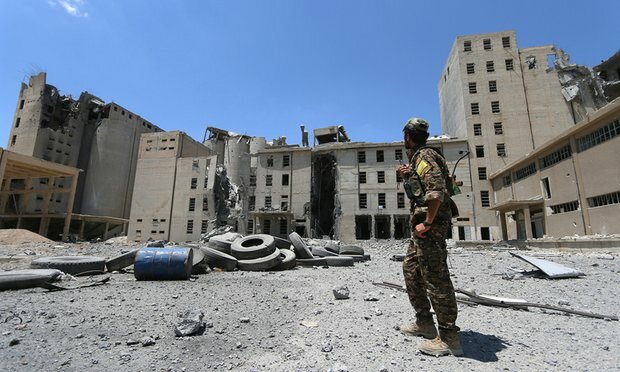 Around eight families were struck while they were trying to escape the attack launched by Arab and Kurdish forces against Islamic State (IS) group fighters in Manbij. 85 civilians, including 11 children have been killed, according to the statement of the Britain-based Syrian Observatory for Human Rights. Besides, dozens were wounded. Today media sources reported that the US will not pause airstrikes in Syria despite appeals from opposition activists after what appears to be the worst US-caused civilian casualty disaster of the war against the Islamic State. US-backed forces waging an offensive against the Islamic State-held city of Manbij in northern Syria appealed for international assistance for those fleeing the fighting on Tuesday as the forces tightened their encirclement of the city. “Alabdah, in a statement, insisted on “accountability” for those responsible for the devastating airstrike, “revised rules of procedure” for future strikes, and warned that continuing the aerial bombardment would deliver the hard-fought region back into the hands of Isis. “More strikes at the moment will drive Syrians “further into a spiral of despair and, more importantly, will prove to be a recruitment tool for terrorist organizations,” Alabdah said. US military investigates activists’ claims of deaths in Manbij in what would be deadliest coalition attack on non-combatants in campaign against Isis. US airstrikes on a Syrian village have killed at least 73 civilians, a majority of them women and children, activists say, in the deadliest coalition attack on non-combatants since the start of the bombing campaign against the Islamic State. The bombing was part of a two-month push to seize the town of Manbij, a strategic centre, key to any future advance on Islamic State’s de facto capital, Raqqa. Activists had warned of high civilian casualty rates from airstrikes in Manbij even before the latest airstrike. In the early hours of Tuesday morning, activists described coalition aircraft hitting a cluster of houses in the village of Tokkhar, where nearly 200 people had gathered to seek shelter as the frontline shifted towards their homes. Most of those inside were killed or injured. “The death toll is 117. 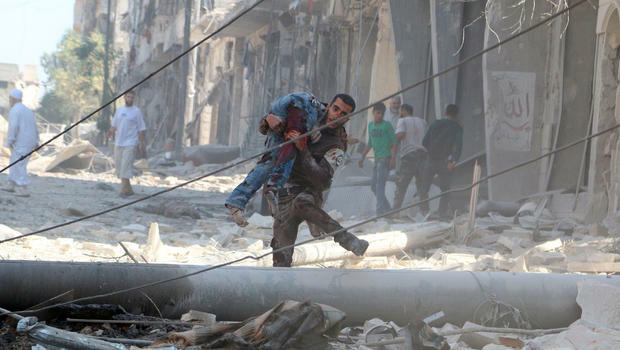 We could document [the identity of] 73 civilians including 35 children and 20 women. The rest of the dead bodies are charred, or have been reduced to shreds,” said Adnan al-Housen, an activist from Manbij. He said around 50 injured survivors were rushed for treatment to the border town of Jarablus, where they provided details about the attack. Dozens of civilians killed in alleged U.S. coalition strikes in Syria. (Photo: CBC News). Ahmad Mohammad from the Syrian Institute for Justice, a Turkey-based group which monitors human rights violations, has also documented 73 victims, from at least nine families. UK-based monitoring group AirWars has recorded the names of a similar number of dead from several different sources. “This is likely the worst reported civilian toll of any coalition attack since the bombing campaign against Isis began nearly two years ago,” said AirWars director Chris Wood. The group had already warned of a rising civilian toll around Manbij. “Since the siege began it’s our view that at least 190 civilians have been killed by coalition airstrikes, mostly US. We are concerned that the US-led alliance appears to have relaxed some of their rules concerning civilian casualties,” said Woods. A coalition spokesman denied any change to its rules of engagement. The attack came the day before defence ministers from the anti-Isis coalition gathered outside Washington to discuss progress in the war. Anti-Isis activist group Raqqa is Being Slaughtered Silently warned on Twitter that airstrikes which kill civilians undermine the fight against Isis, and gave an even higher toll for the Tuesday attack. The Syrian Democratic Forces (SDF), the coalition’s allies on the ground, said in a statement that they had provided intelligence for airstrikes on Tokkhar, although they insisted the bombs hit an Isis group and denied any civilians were killed. Villagers told Housen that they believed most Isis forces had withdrawn from Tokhar shortly before the bombing raid. A Syria Democratic Forces (SDF) fighter walks along the silos and mills of Manbij earlier this month. A US airstrike in the vicinity is currently under investigation. (Photo Rodi Said/ Reuters). An official release of airstrike information from US Central Command early on Wednesday did not include the claims of civilian deaths, but instead said that three of its airstrikes near Manbij on 19 July destroyed Isis fight positions, 12 of its vehicles and a command “node”. Army Col Christopher Garver, the chief spokesman for the US-led war effort, said the command in Baghdad was aware of reports of civilian casualties and is reviewing the incident, which could lead to a formal investigation. While Garver emphasized that he could not confirm the allegations of the civilian death toll, he indicated there was no incident in which the US-led coalition killed more than 70 civilians during the two-year-old bombing campaign against Islamic State, which would make Tuesday’s bombing the deadliest coalition attack on non-combatants. “I do not believe Centcom has released the findings of any investigation acknowledging civilian casualties that large or larger,” he said. Garver also said that Isis was increasingly using civilians as human shields around Manbij, and suggested that could have been a factor in any deaths. “We have seen Da’esh using more civilians as human shields in the Manbij area. We’ve seen them during the fight pushing civilians toward the lines of the SDF to try to draw fire. While the investigative process will provide details on this particular incident, and we don’t know what happened, I won’t be surprised if this is somehow a factor,” Garver said. He denied that the US had relaxed its rules of engagement around when it can open fire against a suspected Isis target, although AirWars data shows that airstrikes have been getting deadlier for Syrian civilians. In the six months leading up to May, attacks by coalition aircraft were down 15%, but likely civilian deaths were up by over a third, the group’s records show. “That was really worrying for us, since it suggests a change in priorities for the coalition – one which means civilians are now at greater risk from airstrikes,” Woods said. The Syrian Observatory for Human Rights, which put the death toll for the strike near Manbij at 56, claims that since 31 May, coalition strikes have killed a total of 104 civilians. Overall, the US military has confirmed 36 civilian deaths from its airstrikes since summer 2015, a figure independent observers consider too low to be credible, considering the daily barrage of air-delivered US ordnance for nearly two years. Manbij is often cited by US officials as a success story for the ongoing war. Officials claim Isis is under assault from four fronts in Manbij as it clings to territory in the city center. Ashton Carter, the US defense secretary, cited the importance of the ongoing fight during a meeting outside Wednesday of defence ministers from the anti-Isis coalition, where they are expected to discuss the capture of Raqqa. Proxy forces “have now surrounded Manbij city, which is one of the last junctions connecting Raqqa to the outside world and a key transit point for external plotters threatening our homelands”, Carter said at the Washington meeting. 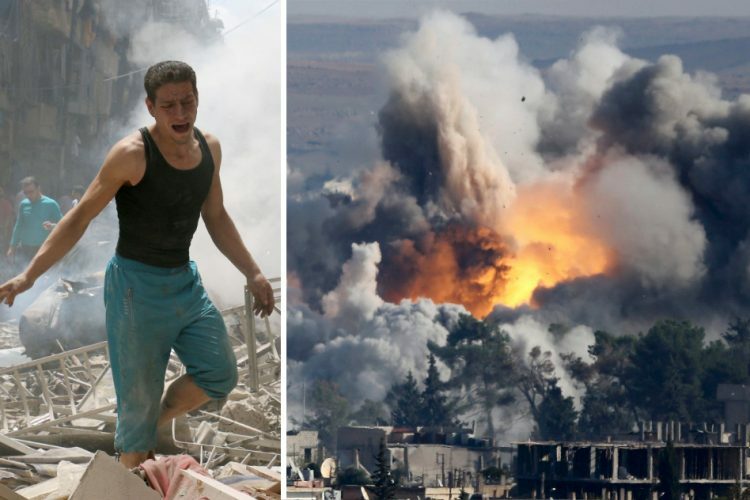 The Guardian: US airstrikes allegedly kill at least 73 civilians in northern Syria.